Known as the Goddess of Laughter and Possibilities, Elaine helps clients get clear on their vision, discover hidden challenges, design inspired action strategy, shift beliefs and rediscover the magic in life. Her Dance with Life program is about becoming the deliberate creator you came here to be. As a lover of dance, Elaine says it was natural for her to use it to translate the process of deliberate creation for her coaching clients. 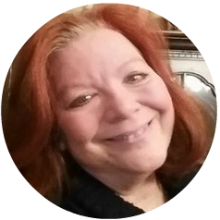 Learn more about Elaine and her services at Avalonian Moon.